Whether you ride for The Bends or think Radiohead peaked with Kid A, nearly everyone can agree that 1997’s OK Computer was the album that gave the U.K. band direction and purpose. Not only was it a critical and commercial success, but it also disrupted a music scene that was rife with whiny alt-rockers and one-hit wonders. It also, in many ways, served as one of the first pieces of art to foresee the sense of loneliness and disconnection that would well up in the smartphone age. That wasn’t intentional, though. In a rare, fascinating interview with Rolling Stone, Radiohead goes deep into the origins, recording process, and legacy of OK Computer on its 20th anniversary. 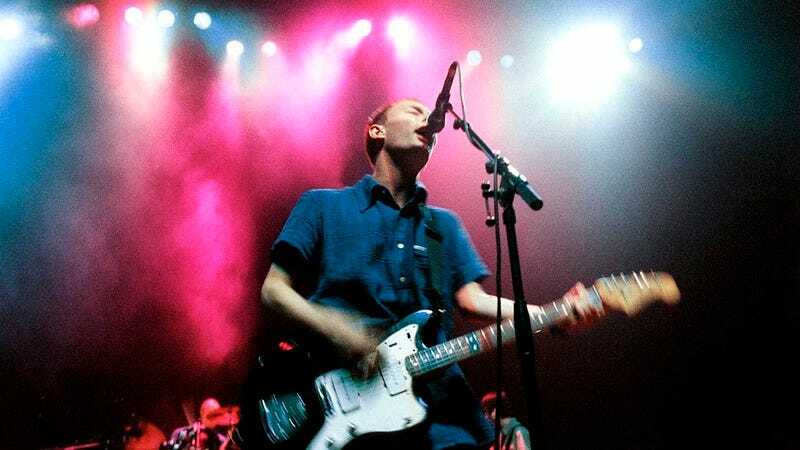 And though the title itself was plucked from Douglas Adams’ A Hitchhiker’s Guide To The Galaxy (“OK, computer,” a character says, “I want full manual control now”), its themes of dislocation were more inspired by the years upon years of touring the band did in support of its previous album, The Bends. The interview is overflowing with insight and humor, but a particularly Radioheadian detail comes in the band’s discussion of St. Catherine’s Court, the Elizabethan manor in Bath, England, where they recorded OK Computer. Because the band’s members seem to exist on another plane than the rest of us pleebs, they had no shortage of otherworldly encounters when night descended on the mansion. Yorke’s experience went even further. Read the whole thing here, where you can hear about the band’s virulent disdain for Britpop, the importance of “Karma Police,” and how their current tour is helping Yorke cope with the recent death of his former partner of 23 years.